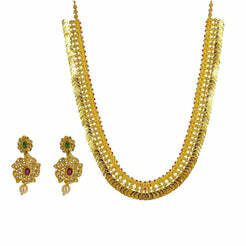 22K Yellow Gold Statement Necklace & Earrings Set W/ Ruby Stones for women. 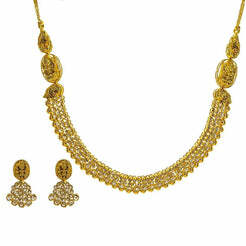 Necklace and matching earrings feature beaded filigree and hand paint accents. Total weight is 47.9 grams. 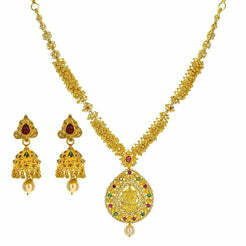 Wonderful set for weddings and other special occasions.